Lana Del Rey will not be performing at the Meteor Festival in Israel next week. The pullout is likely the result of heavy political pressure by anti-Israeli groups. Despite a hefty payout reportedly in the $700,000 range, Lana Del Rey will not be performing at the Meteor Festival in northern Israel next week. In a statement issued this morning (August 31st) by the singer on her Twitter account, Lana Del Rey confirmed that she has pulled out as a headliner just days before her scheduled performance. 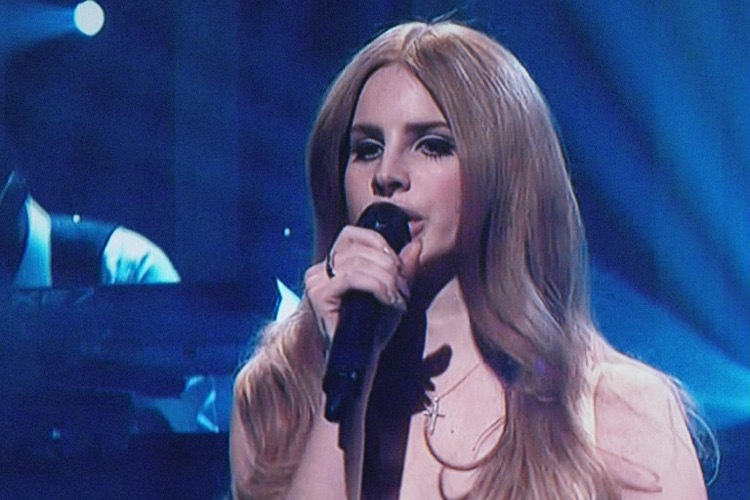 Lana Del Rey’s performance was slated for the evening of September 7th. Lana Del Rey was easily one of the biggest draws for the festival. The high-profile booking made her the focus of intense lobbying by anti-Israeli groups. Other, lesser known artists have also dropped out, though headliners like A$AP Ferg, Pusha T, Flying Lotus, and Kamasi Washington remain on the bill (at least for now). There’s a key word in there — ‘postponing’ — which suggests that a broader tour of the region may lie ahead. But that’s little consolation to Meteor Festival organizers and attendees. 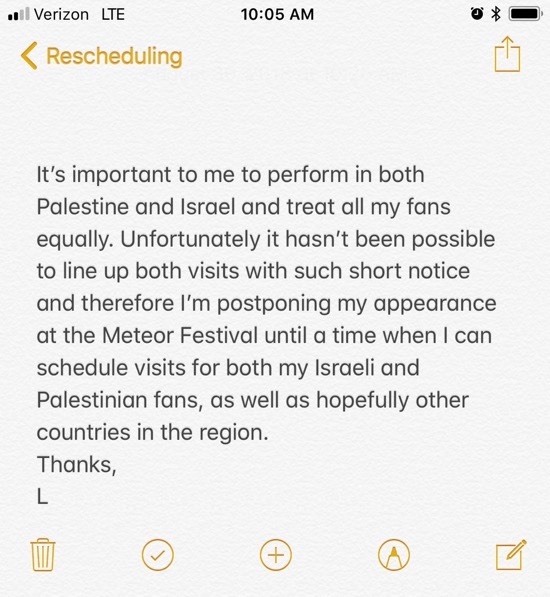 Earlier Lana Del Rey refused to cancel the Meteor date, despite heavy pressure from anti-Israeli voices like Roger Waters of Pink Floyd, BDS, and others. But Del Rey indicated that she was also planning a Palestinian date to coincide with the Meteor Festival. The Meteor Festival has issued a counter-statement accusing the singer of exploiting them for publicity. The Meteor Festival is kicking off on September 6th in the Galilee region of upper Israel. Accordingly, the group has been left scrambling to fill some big shoes, and may also be dealing with refund requests from fans. McGregor's daughter sorry for calling Winstead "trash"